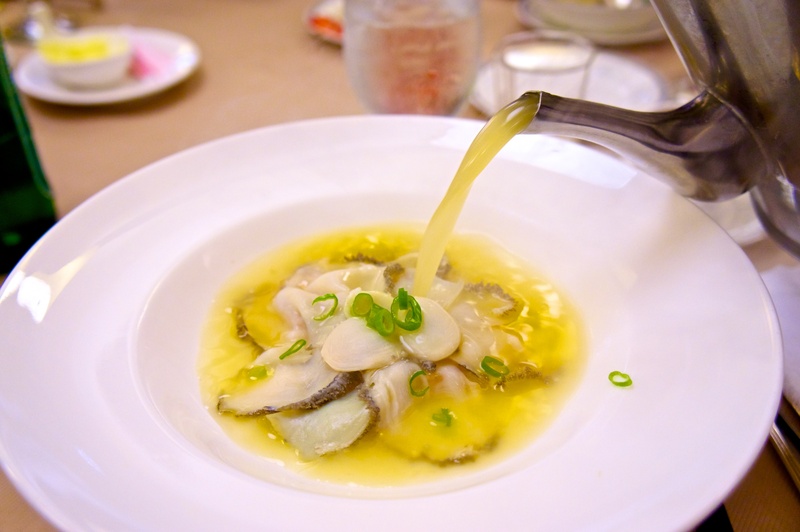 For countries like Singapore, SKorea, Hong Kong, etc where you are surrounded by water, seafood is prominently featured in the daily lives and cooking. You get specialist seafood restaurants like Jumbo where live fish and crustaceans swim among exotic (and sometime unknown) aquatic specimens. So it was quite a surprise that you cannot find good live seafood in Taipei City. Most of the examples are the 快炒店 (similar to Singapore’s Tzecha) where the seafood is chilled on a bed of ice shavings in a specially made chiller where everything on the menu is displayed in an appetizing manner. But very few restaurants featured live tanks of seafood. Except 真的好 (ZDH).ZDH is opened by a Hong Konger, so the moment you stepped in, you are greeted by enormouse tanks of swimming, crawling and resting seafood. Everything’s alive (even the Giant Grouper that weighed in at over 20kg)! The chef is from HK, and the style is Cantonese, but the feature is Seafood, so the fresher the better. I shall recommend 2 dishes that I have not tried in other places that are quite outstanding. 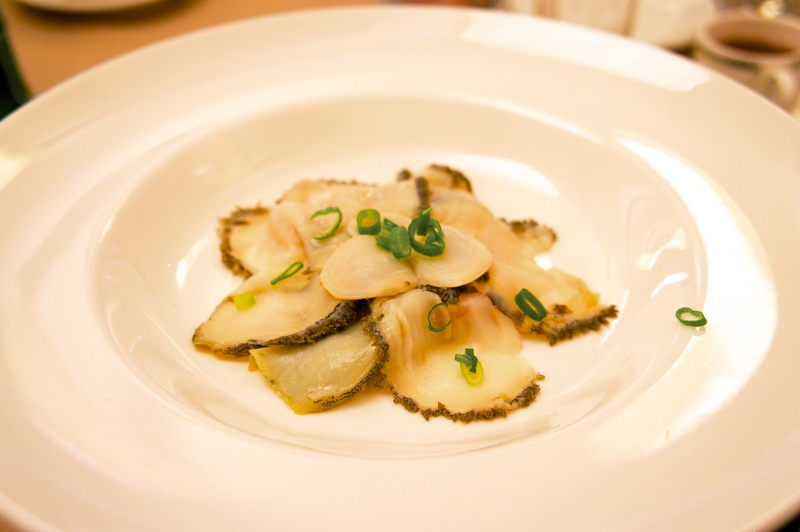 Geoduck with Superior Stock (***) – you take a live Geoduck (which is a clam with an elephant truck) and sliced it into thin slices and lay them on a plate like below. Next you take heated stock (I believe it was a chicken and conpoy stock) and pour it over the morsels of clams and served over a flame. Pour stock over the clam. 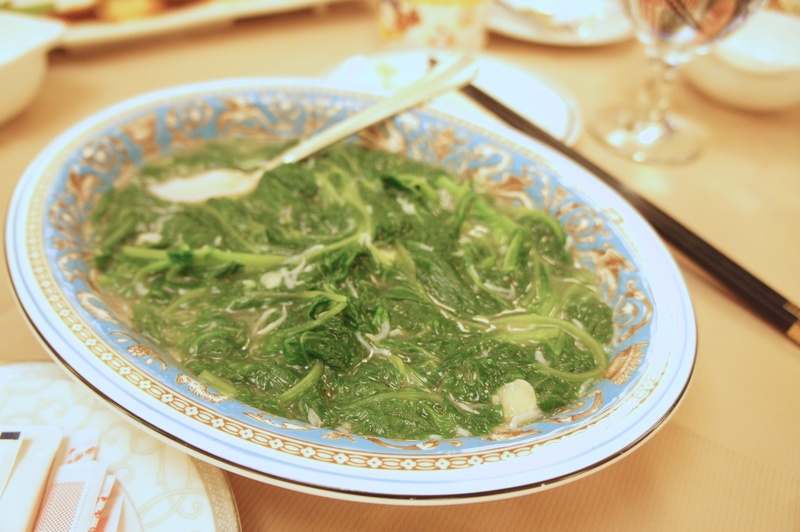 Another dish that is worth the trip is Spinach with Anchovy Fries (***) – specially selected spinach cooked with live anchovy fry, delicious. Just walking distance from Sogo at ZhongXiao E Road, so worth a detour if you are in town. But beware it is quite pricey, so go for the degustation menu.